The Global Portal on Anti-Corruption for Development is a one-stop-shop for information and knowledge specialized on anti-corruption for sustainable development. It aims to support the work of development and governance practitioners, anti-corruption bodies, researchers, civil society organisations, and the donor community by facilitating access to information, cutting-edge knowledge, and practical tools on anti-corruption at a global, regional, and national level. Open access to information and knowledge related to latest efforts addressing corruption, in light of today’s development challenges, is available on this portal. Such challenges include: human rights, gender equality and empowerment, climate change and natural resource management, illicit financial flows etc. 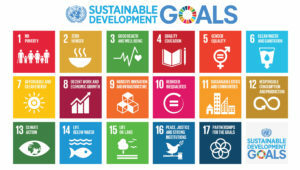 that are critical for the achievement of the 2030 Agenda for Sustainable Development. Users of the portal will find easy and free access to: training materials and multimedia resources; corruption risk mitigation tools and methodologies in sectors; case studies and lessons learned from anti-corruption interventions and policy documents, including anti-corruption strategies, reports and evaluations, and advocacy resources. This portal also connects our community to the extensive map of efforts and initiatives on anti-corruption, through easily accessible links to other global anti-corruption networks. This portal is a key platform for the broad community of anti-corruption practitioners to share global knowledge on emerging issues. Through e-discussions, webinars, blogs and social media, members are invited to contribute and engage in vibrant discussions with other colleagues. All information on the portal is public, and users can contribute by sharing news, events, links, documents, and submit feedback through a simple registration process.